There are currently 0 homes listed for sale at Arbor Hills subdivision and so far this year, 1 has sold. Last year, 8 homes sold. $368,400. 3381 Cromwell, Ann Arbor. 1530 sq. ft., with 890 in finished lower level, 3 bedrooms and 3 baths. $412,000. 3416 Ashburnham, Ann Arbor. 2066 sq. ft. +1200 in finished lower level, 4 bedrooms and 2.1 baths. $395,000. 3428 Ashburnham, Ann Arbor. 1980 sq. ft., +600 in finished lower level, 4 bedrooms and 3.1 baths. $375,000. 3227 Kilburn Park Circle, Ann Arbor. 1530 square feet with 3 bedrooms and 2 baths. $375,000. 3144 Dunwoodie, Ann Arbor. 1980 square feet with 4 bedrooms and 2.1 baths. $365,000. 3149 Kilburn Park Circle, Ann Arbor. 1676 sq. ft., +1000 in finished lower level, 3 bedrooms and 2.1 baths. $350,000. 3361 Cromwell, Ann Arbor. 1938 sq. ft., +500 in finished lower level, 4 bedrooms and 2.1 baths. $330,000. 3370 Cromwell, Ann Arbor. 1530 square feet with 3 bedrooms and 2 baths. $285,000. 3404 Cromwell, Ann Arbor. 1146 sq. ft., +900 in finished lower level, 3 bedrooms and 2.1 baths. In 2016, 7 homes sold with an average sale price of $335,250 and an average price per square foot of $178.00. The 8 homes sold in 2017 had an ASP of $360,875, up 8%, and an A$SF of $212.00, up 19%. To learn more about the Arbor Hills neighborhood or to be instantly notified on new listings, contact the real estate specialists with The Bouma Group today at 734-761-3060 or email info@bouma.com. 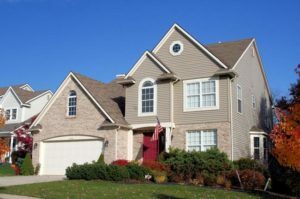 See more Ann Arbor Subdivisions here!